Faked photos: Combat scenes from WWI were staged using models. 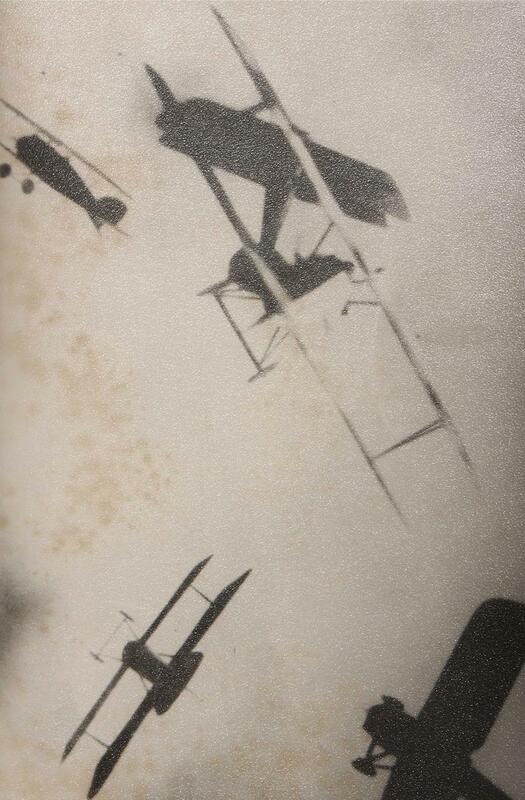 In the early 1930s, a woman claiming to be the widow of a Royal Flying Corps pilot produced these photographs of scenes of aerial combat during World War I. Her late husband, she claimed, had defied the RFC’s regulations and mounted a camera on his plane, tying its shutter action to his machine gun. 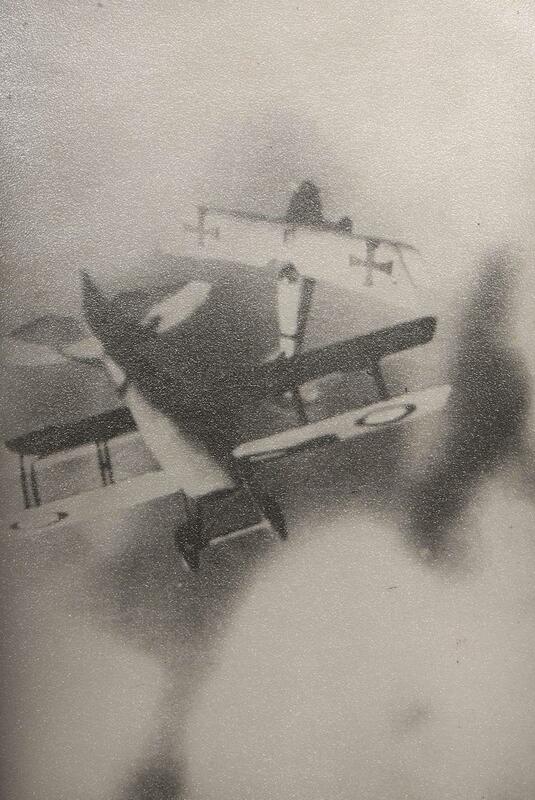 The resulting series of images was the only available up-close visual representation of British and German planes firing upon each other, aircraft catching on fire, and pilots falling from the sky. 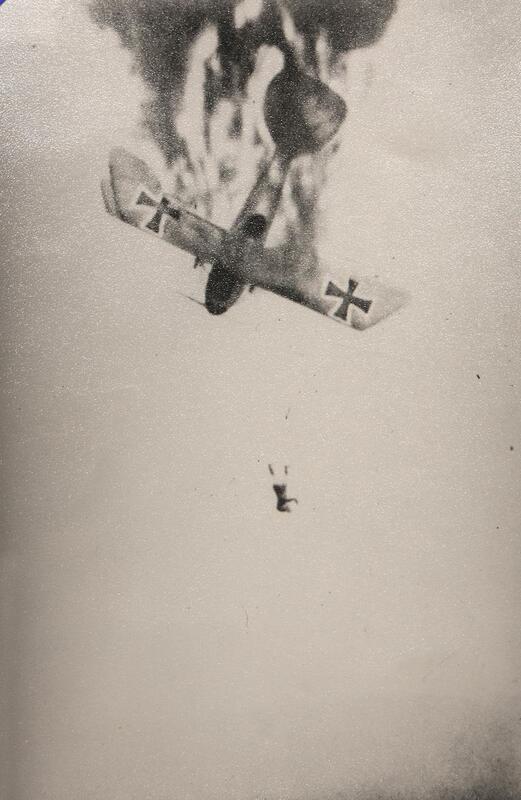 During WWI, camera technology simply hadn’t progressed to a point where it was possible to take an accurate photograph of dogfighting. Meanwhile, the public was rabidly curious about the new kind of warfare. The appearance of “Mrs. Gladys Maud Cockburne-Lange” and her trove of photographs neatly bridged this gap, and she had no trouble selling the images to newspapers, galleries, and publishers. In his work on photographic hoaxes, investigator Joe Nickell writes that some had questioned Mrs. Cockburne-Lange’s authenticity over the years, wondering why the aircraft appeared to have clean and shiny wheels (given runway conditions at the time), how the pilot had managed to take pictures of British planes if the camera was attached to the machine gun mechanism, and why the widow refused to be contacted in person. But it wasn’t until 1984 that the pictures were definitively shown to be fake, when the Smithsonian received a donation of materials from Wesley David Archer, an American pilot who had served with the RFC and then became a special-effects technician in Hollywood. Curator Karl S. Schneide, of the Air and Space Museum, and Peter M. Grosz, an aviation expert, jointly investigated the materials, which included original versions of these photographs in which the wires holding up the model airplanes had yet to be airbrushed out. The two discovered that “Gladys Maud Cockburne-Lange” was actually Betty Archer, wife of Wesley. Fallen on hard times during the Depression, the couple had conceived this hoax as a moneymaking venture. While these aren’t actual photographic documents of dogfighting, they are fascinating recreations, drawn from the memory of a pilot who saw that type of combat firsthand. A set of the Cockburne-Lange photographs, previously owned by the Naval and Military Club in Melbourne, Australia, will be auctioned off in Melbourne on Aug. 13. Images courtesy of Noble Numismatics Pty Ltd.